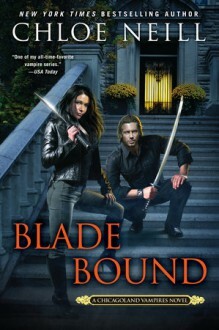 The thirteenth and final book in the New York Times bestselling series featuring Merit and Ethan. Since Merit was turned into a vampire at the tender age of twenty-seven, she’s become the protector of House Cadogan and saved the city of Chicago over and over again. Through it all, she’s had her lover, and friend, Master Vampire Ethan Sullivan, by her side. But then Ethan is violently attacked, seemingly by someone in the throes of a dark magic. And as that magic spreads across the city, Merit finds herself in a fight to the death for everything she loves. http://BuckeyeAngel.booklikes.com BuckeyeAngel 5.0 LOVED IT! !